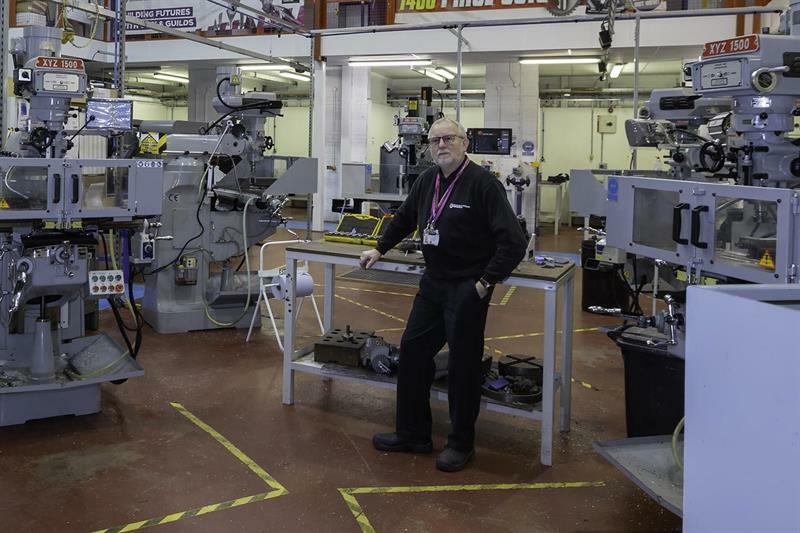 ​Increasing demand for South and City College Birmingham’s for BTEC and City & Guilds qualifications in engineering at its Bordesley Green campus has prompted investment in additional equipment, supplied by XYZ Machine Tools. More than 200 students are studying during this 2018/2019 academic year. Since the Engineering facility opened, some six years ago at the Tyseley Green Campus, and subsequently at the Bordesley Green campus, following a relocation/reorganisation, the numbers of students have grown year-on-year, quickly outgrowing the existing machining capacity, leading to significant investment not only at Bordesley Green, but also at its sister campus at Bournville. The students at Bordesley Green Campus range from 16-year-olds and up, studying courses from BTEC through to City & Guilds Level 2 and Level 3, including apprentices, who all gain experience ranging from benchwork, through basic machining to CNC and CAD skills. The focus at Bournville is on all of the above, plus day-release school-age children between 14 and 16 years old. All students are purely that, students; many have no permanent employment and some are semi-employed when they start training at the college. The College’s emphasis is on ensuring that when the students have completed their training, they have good opportunities for work when they leave. In that respect, South and City college has received a good OFSTED rating (grade 2) in 2018. In order to deliver these standards of training, both campuses have a requirement for a mixture of manual trainer-lathes through to mills with DRO and CNC within the workshops. 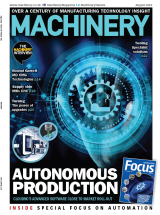 “When we first relocated from Tyseley to Bordesley Green, we had a limited number of machines, but to expand, the college bought various new machine tools, including a turret mill and surface grinder from XYZ Machine Tools. With the increased popularity of our engineering courses, we needed to invest further in machine capacity, in order to give all the students a fair opportunity to acquire the skills necessary for industry,” says Ian Partington (pictured), advanced technician: Engineering, South and City College Birmingham. This requirement for new machinery was put out to tender and XYZ Machine Tools was successful in winning the business. As a result, the Bordesley Green campus now has 12 XYZ machines, a combination of manual trainer lathes, turret mills with DROs, a surface grinder, along with ProtoTRAK-equipped SMX 2500 bed-mills and an SLX 1630 ProTURN lathe. A similar range of machines was also installed at the Bournville campus. The ease of use of the ProtoTRAK control system is combined with its ability to handle complex parts for either one-off or small-to-medium production volumes. The conversational programming language also has advantages for those new to CNC programming, with the control providing guidance at every step of the process, even calculating dimensions that may be missing from drawings, thanks to its unique Guess key.